There are about as many ways to charge for services as there are contractors. One way or another, the Contractor has to collect more than the actual cost of the materials and labor to cover their overhead and generate a profit on the job. 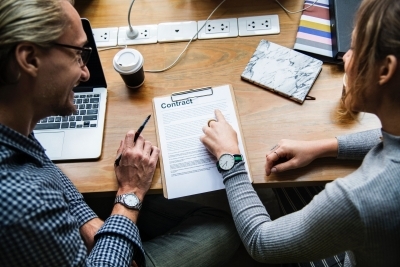 Generally, smaller contractors (either independent or with a helper or two), will use “Markup” as a way of collecting funds for overhead and profit. They usually either due this “behind the scenes” by simply invoicing you for materials at the marked up price - few will break out their markup. Larger companies usually use “Margin” to cover their overhead and profit on jobs. Most companies that use margin, work on fixed price contracts and you rarely, if ever, see what their margin is. Mark up is simple and is why most smaller operations use it. It simply takes a number and adds a percentage on top of it to achieve a markup. In the example below on the left we have a cost of $80 and a 20% markup of $16 (20% of 80) equaling a total of $96. Margin is the percentage of the total job. It reflects what portion of the final bill goes toward the company’s overhead and profit. Using the same cost, the chart below on the right shows the difference. In that example the total bill to the client was $100, of which $20 (or a 20 Margin) went toward the company’s overhead and profit. 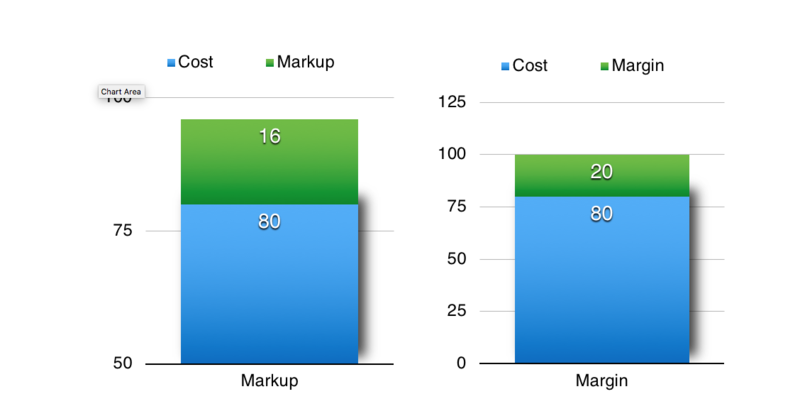 If you also work out the math in the case of margin, a 20 Margin works out to be a 25% markup. (20 = 25% of 80 cost). In the case of retail operations that might use a 100% markup, that is a 50 Margin (50 = 100% of 50 cost). So why does Allied use margin and why do you see it broken out? Margin is used as part of more detailed financial budgeting. As companies grow, margin allows them to account for their overhead and profit as a portion of their overall gross sales. This is much more accurate than markup and necessary when tracking overall company budgeting. For instance if Company A did $1000 in gross sales and they are using a 20 margin on those sales, they know that they will recoup $200 in overhead and profit. We show it to you because it is part of our billing philosophy to be transparent. Since most companies never show this information to you, you usually don’t know what they are making on the job - but you can be sure they are making at least a 20 margin. As a benchmark, most remodeling and residential construction companies in the U.S. usually achieve 30-45 margins. Allied sets it margin each year based on anticipated sales and income goals based on it’s overhead.